There is a mysterious and magical connection between the changes in the female body and the phases of the moon. Many of these monthly changes go unrecognized for women, sometimes because we suppress them, but very often because we are just unaware that they occur. You may never have heard of menstrual cycle charting, or moon charting. But did you know it could be the key to understanding yourself and the unique rhythms of your female body? Perhaps it sounds a little wacky, or perhaps this idea deeply resonates with your spirit. I can assure you that by keeping a record of how you feel in your body, mind, and spirit throughout the month you can become aware of our own unique feminine energy blueprint and you will become better equipped to ride the ebb and flow of your life. When you begin to chart your menstrual cycle in relationship to the moon, you begin a journey into yourself. You discover that your body, like the earth, is connected to a timeless universal pattern that has been marveled at since the very beginning. So, what exactly is moon charting? Moon charting is the practice of keeping track of how the current day of your menstrual cycle aligns with the current phase of the moon. 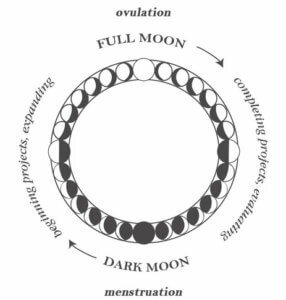 The completed moon chart then acts as a visual representation of the way your cycle of ovulating and menstruating lines up with the moon’s natural waxing and waning. By creating a strong visual reminder of your own patterns you’ll know what to expect and how to nurture yourself through each phase – because you’ll know how each week differs from the next. You may find that you experience certain emotions, physical sensations, or even discomforts around the same day or week in your cycle. Noticing these patterns is essential to understanding yourself as a cyclical being rather than a victim to your unpredictable hormones or mood swings. You’re not psycho, you’re cyclical! As women, we cycle through four distinct energy phases each month. When menstruation begins, we experience the deeply thoughtful and intuitive energy of the Wise Woman. This is the New Moon energy. The crescent moon then embodies the energy of the Maiden, the pre-ovulation phase that brings new enthusiasm, mental clarity, and physical vigor. With ovulation comes the energy of the Full Moon, or the Mother, bright and fertile. This is the time for creative expression because we are most capable of nurturing our deepest desires of creation. Finally, the Enchantress energy of the Waning Moon comes as we cease ovulation, providing a natural time to turn within and take stock of our internal world. 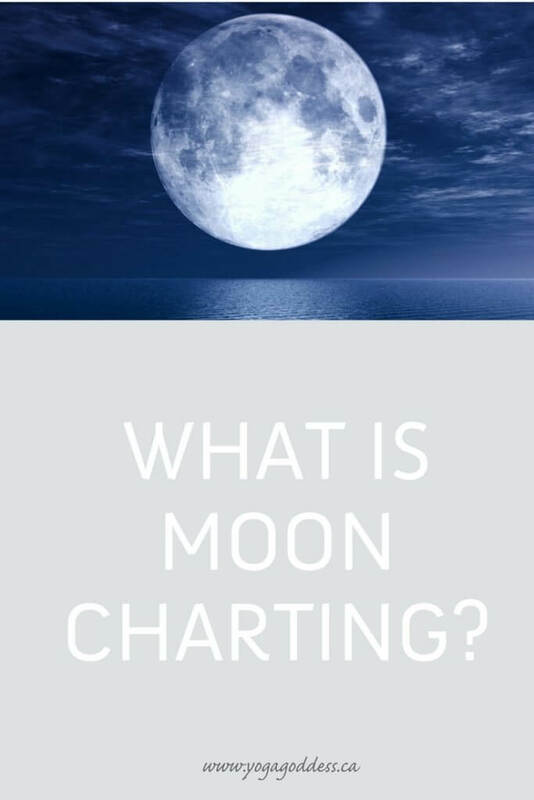 Want to read more about moon charting? Good, because we have more to share! 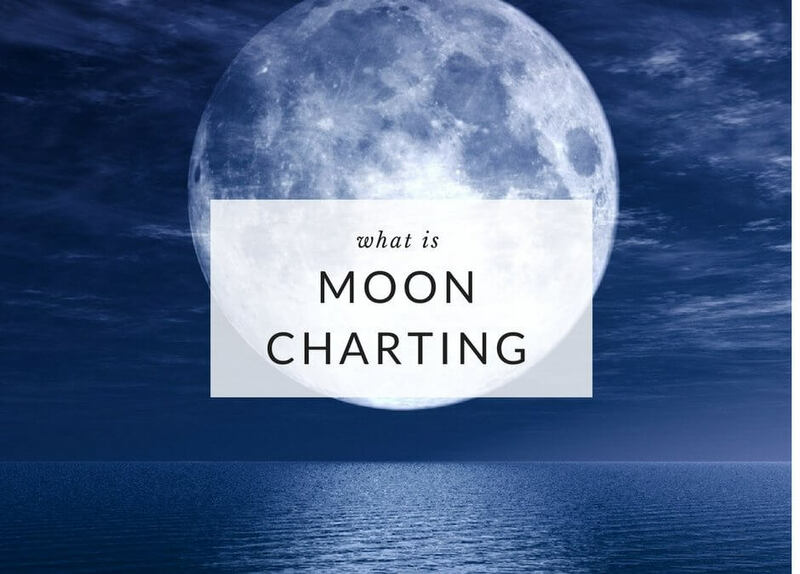 You can find out how to sync your cycle with the phases of the moon, as well as 5 benefits you’ll notice when you start moon charting regularly. Interested in diving deeper into practicing moon charting? Check out my Moon Charting Mastery program! In this unique program, I’ll teach you the ins and outs of how to chart your cycle and discover your own personal protocol for feeling goddess-y all month long. Find Moon Charting Mastery HERE!